Project: Crimson Dawn, a scientific experiment intended to create super soldiers programmed to serve Jericho Inc. According to Jericho Inc.'s files on the project the test subject, John Derry, was an active duty Air Force Firefighter until a fatal car accident during leave in Arken City while visiting his fiancé, Sasha Girlocke. After being pronounced dead his body was taken to Hopewell Hospital where the subject was abducted from the morgue by men from Jericho Inc. in order to use him as a cadaver for the Crimson Dawn Project. The idea was to use a deceased military man for the experiment inorder to capitalize on his muscle memory from training. During the transformation process the subject was reanimated, grew in size, gained enhanced superhuman strength, and combat mimicry. He had become the perfect fighting machine mimicking and adjusting his fighting style and weapon use to win any battle, but the experiment was flawed. The subject was transformed into a super soldier, but the mind programming failed only erasing details from his past. The subject retained some distant pieces of his memory and the pain of a lost love. During a fit of rage the subject destroyed the laboratory and escaped. 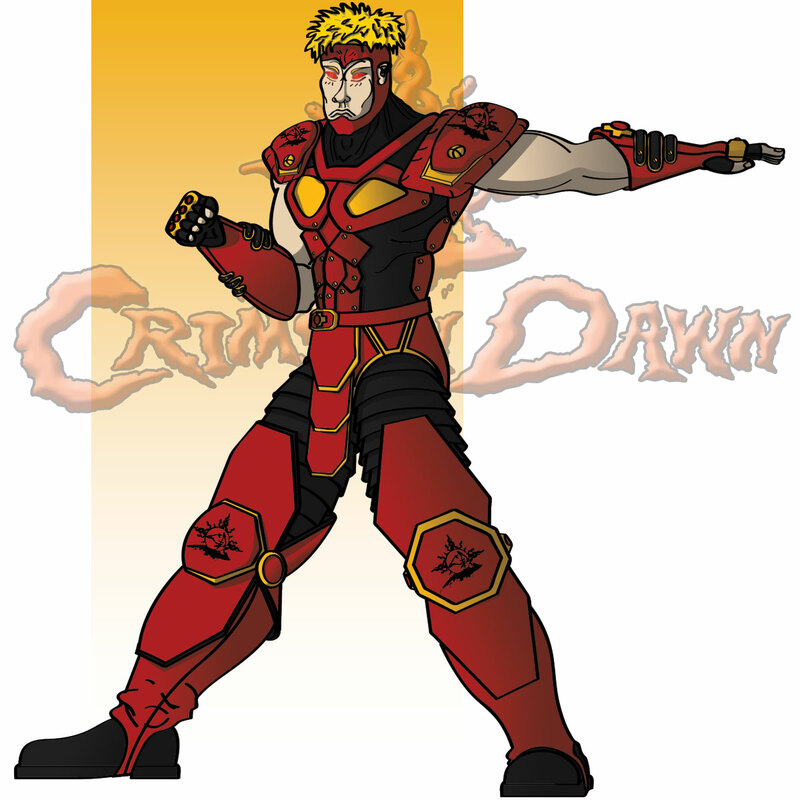 Taking on the name Crimson Dawn he now leads a band of misfit-failed experiments, and who will stop at nothing until Jericho Inc. pays for crimes against them and humanity.